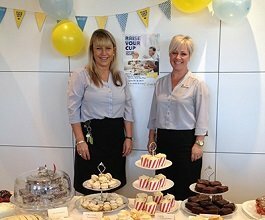 Our staff volunteer over 600 hours each year to support their local charities and community groups. 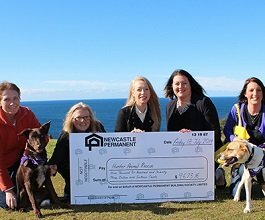 Our CommunityAssist Program is another great example of the generosity and community spirit of our staff, providing opportunities to support many worthy charities and community groups. 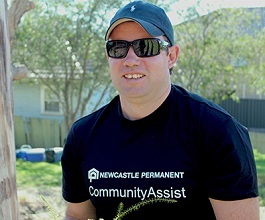 Our Community Leave Days form part of our CommunityAssist Program, where we give our staff two paid leave days each year to do volunteer work with charities and community groups in their local area. 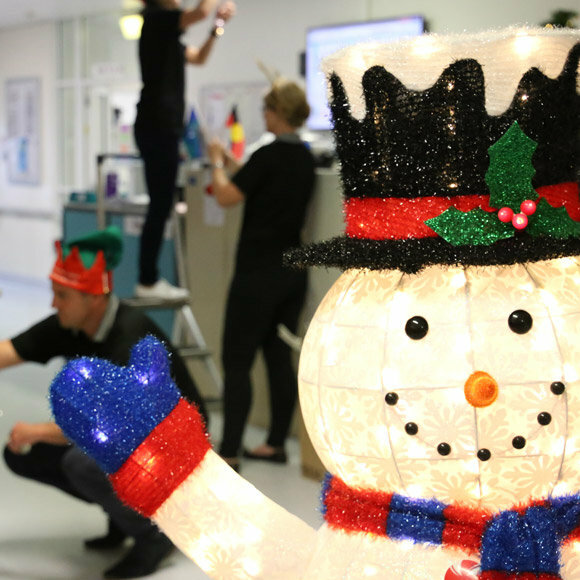 December 2017: Our staff volunteered to brighten John Hunter Children’s Hospital with Christmas decorations, trees and lights for children and hospital staff alike. The hospital staff usually decorate the wards in their breaks and their own time so this year it was great to be able give them a hand. This was the first time volunteers had come in to do it. John Hunter Children’s Hospital is a special place for thousands of families and it was great to be able to put a smile on everyone’s faces this time of year. 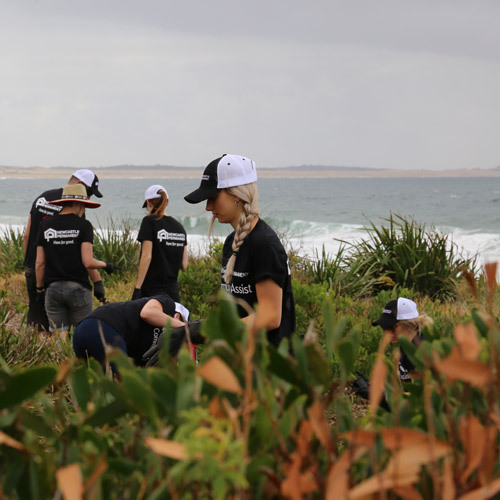 November 2017: Landcare, along with 30 staff members from our Branches and Head Office turned their green thumbs to a restoration project at Stockton Beach to help repair some of the damaged dunes. The pressures of urbanisation and erosion have had a huge impact on Stockton Beach, which forms part of the largest coastal sandy barriers in NSW. Our staff planted 4,000 locally sourced native plants to help fight erosion and restore balance between the natural and urban environment. Initiatives such as this one are important to help to ensure a healthier natural environment for future generations to enjoy. 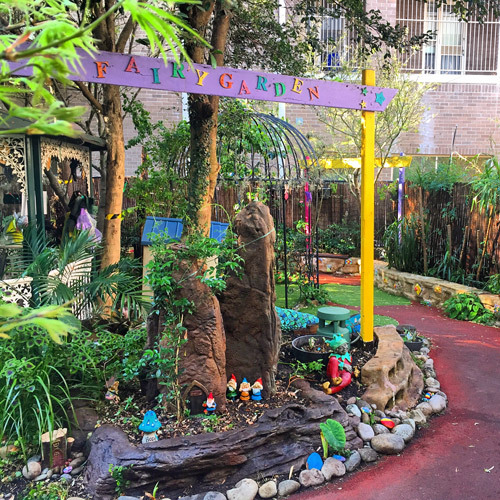 September 2017: Built within the John Hunter Children's Hospital, the magical grounds of the Fairy Garden provide a welcome escape for young patients and families dealing with the stress of hospitalisation and illness. Our staff joined forces with hospital volunteers and enjoyed working hard to help breathe new life into the garden, helping with planting, weeding, watering, painting and cleaning the Fairy Garden's beautiful grounds. 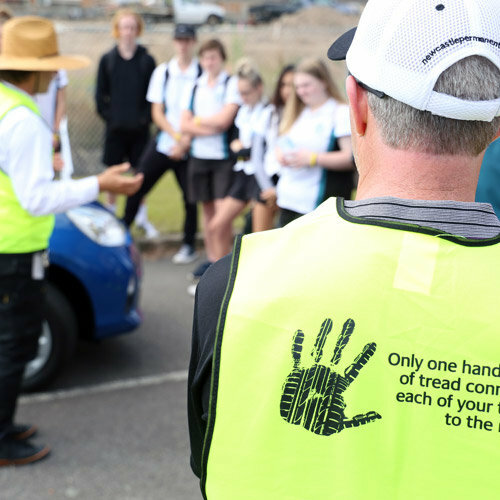 November 2016: Our staff utilised one of their Community Leave Days and teamed up with The Rotary Club of Newcastle to assist with delivering their road safety awareness program “RYDA” to local high school students. The RYDA Program is designed for students aged 16-18 years old who are starting to drive and/or ride in a vehicle with their peers. It aims to reduce death and injury amongst young people on Australian roads by providing practical and powerful workshops to change the way young people think about road safety. The Rotary Club of Newcastle have been delivering the RYDA program to students in Newcastle since 2010, and November 2016 marked the 5,000th student to attend the program at the RTA Rider Training Range in Adamstown. 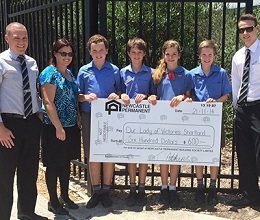 We have proudly supported Rotary’s RYDA Program in Newcastle for over 5 years by providing volunteers through our CommunityAssist program. RYDA days are very rewarding for both volunteers and students, and continue to be a popular Community Leave opportunity with our staff. Find out how you could get $600 for your organisation×bar;.